This September, Fistula Foundation Director of Marketing and Development Joop Rubens and Board member Dr. Larry William traveled to Central and East Africa to visit several of our partner sites. 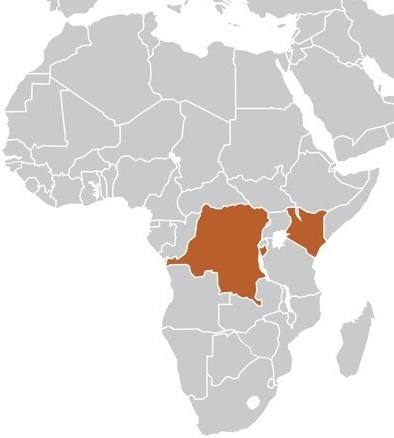 They began their journey at one of our longest-term partners, Panzi Hospital in the Democratic Republic of the Congo, before moving on to Kenya, Burundi and Rwanda. Read about highlights from their trip below. Why am I addicted to 105 degree, 12-hour days spent on pothole ridden dirt roads, praying for the car to hold it together and the late afternoon downpours to stay away? Because these roads give me access to hope. A chance to go and listen to the stories of people who have overcome odds we will never have to face. The conversations along these roads are the most rewarding moments of my life. And sure, overwhelm tries to creep in. But the words of one caring father in a usually male-dominated culture have the power to crush negativity and re-set my perspective. For instance, in contrast to all the accounts of emotional isolation that is the results of obstetric fistula, stands the story of Faith. 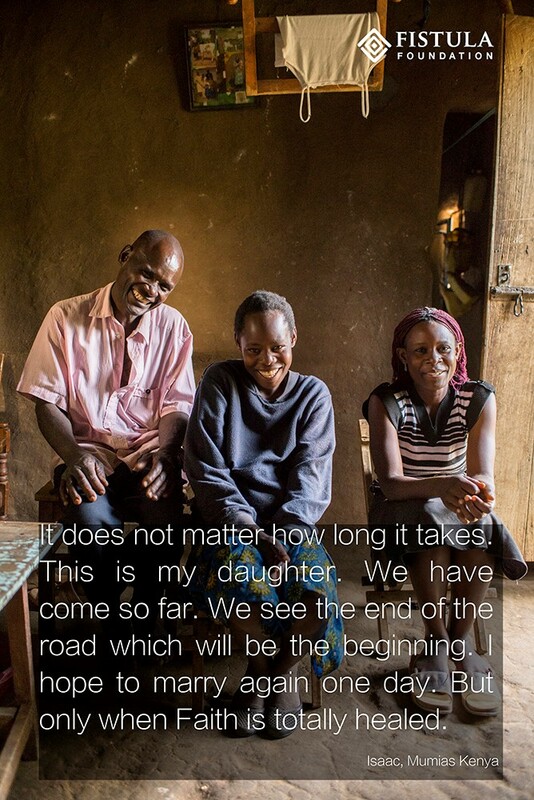 Faith developed a fistula in 2005 at the age of 12, and it took until this year for her fistula to be repaired. In August of 2014 she had surgery and is now on the road to recovery. Although her mother left the household soon after Faith’s injury occurred, her father Isaac stuck by her side. Isaac has not remarried and continues to care for all six of his children. He accompanies Faith to the hospital for every check-up. Stephanie is the older sister of Faith and promises to teach Faith how to read and write, as Faith has never gone to school because of her fistula. More 12-hour days and dirt roads please. In Burundi, Dr. William visited Gihofi Hospital, a rural health center and the Foundation’s first partner site in the country. 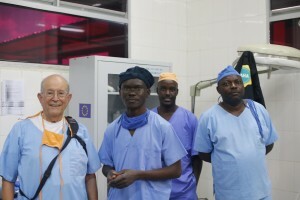 Dr. William was impressed with the facility and even more impressed by its fistula surgeon, Dr. Jean de Dieu Yunga. 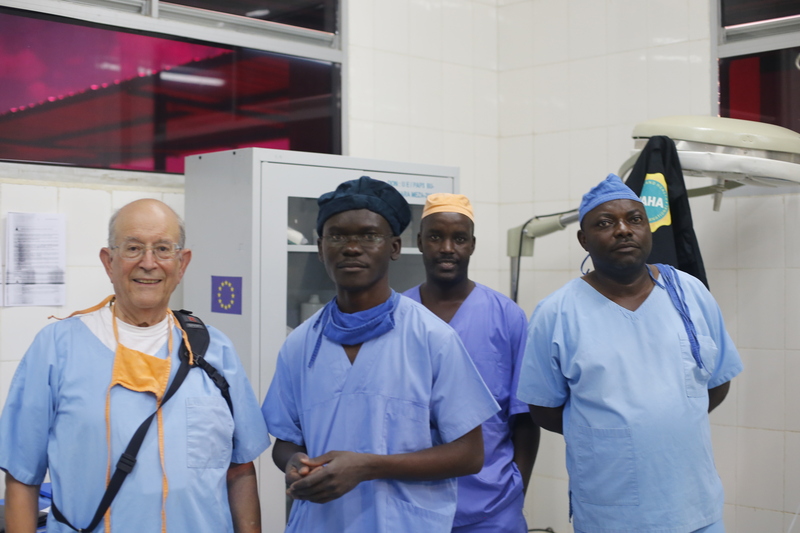 Larry was able to observe Dr. Yunga in action in the operating room and visit with fistula patients before continuing to Central Hospital University of Kigali (CHUK) in Rwanda. In Rwanda, Dr. William met with Fistula Foundation partner surgeon, Dr. Lauri Romanzi, and head of the OB/GYN Department at CHUK, Dr. Stephen Rulisa. They discussed the challenges and opportunities related to fistula care in Rwanda, met with trainee surgeons, and visited with fistula patients at the hospital. Dr. William referred to CHUK as “a first class fistula surgery center” and is looking forward to continued growth as part of these new Fistula Foundation partnerships in Burundi and Rwanda. This article was originally featured in our Winter 2014 newsletter. Click here to read the entire newsletter.